While many people look to space with awe, we forget that an incredible vista of unexplored wonder is much closer to home, waiting for us to dive into. Miles beneath the water, there could be many sights we have never imagined. As we continue to improve our technology, more of the ocean’s beauty will be laid before us, but the oceans will likely still contain countless mysteries. Recently, a video passed around online showed a giant, amorphous, blob-like creature floating near a deep drilling oil rig. The creature pulsated nearby for quite some time, catching the attention of pretty much everyone. It looked almost to be lit from within, and it was incredibly sized, rippling around and constantly changing shape. Some speculated that it was a completely unknown and massive creature from the depths of the ocean. Others even speculated that it may be proof of some kind of alien presence—as a certain sort of people do at every possible opportunity. However, researchers were quick to point out that the creature wasn’t particularly mysterious. It was, as some on the Internet guessed, an absolutely gigantic jellyfish. The researchers even pointed out that as the creature pulsed and rippled, you could see evidence of its reproductive organs, and they were able to identify the species as something already well known to science. This doesn’t completely solve the mystery of what it was doing there, however. There didn’t appear to be any other jellyfish of any variety nearby, and it hung out by the oil rig for some time, even showing off its gonads. There is the possibility that the drilling disturbed it from a deeper part of the ocean and it came up to investigate. It may have also been trying to perform its own form of threatening behavior in an attempt to scare of what it perceived to be an incredibly large and dangerous sea monster. Stories tell of strange crystal pyramids found deep beneath the oceans, allegedly near the Bermuda Triangle. Those fascinated by these wonders point out that most scientists know of them but aren’t looking more closely, possibly for conspiratorial reasons. However, the real mystery here is why these tales about crystal pyramids under the ocean keeps popping up because absolutely none of it is true. It was a hoax from decades ago. A crystal orb—i.e., a hunk of glass—with supposedly magical properties was found resting at the top of the these alleged pyramids. The charlatans fooled a few people, but there was never any truth at all to the story. Mainstream scientists know there are no such pyramids, but believers are hard to dissuade. Many die-hard believers of the crystal pyramids have naturally conflated them with the ancient aliens theory. 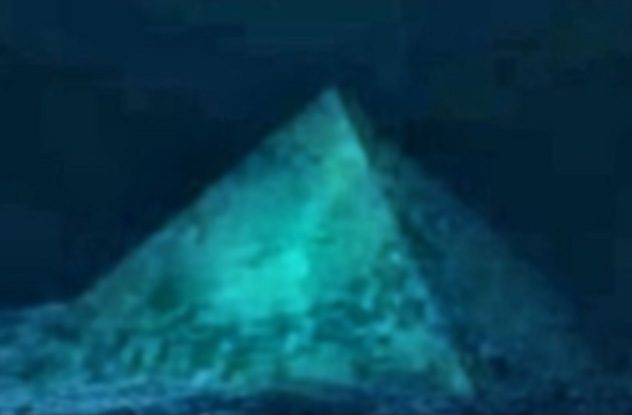 However, the real truth is that there is no crystal pyramid under the ocean, and there is no reason why there ever would be—and it would likely not even be technically feasible in the first place. 8What Is The Secret To The Immortality Of Some Jellyfish Species? 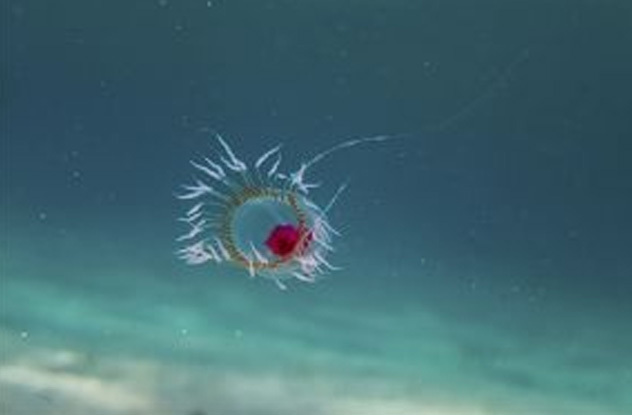 The “Benjamin Button” jellyfish has an incredibly unique feature. While they normally reproduce and die in a manner you would expect, if they see serious trauma, they can reverse the aging process and start transforming themselves to a younger state of existence. This allows them to heal from injuries and survive great stress as a species and is currently making them a great threat to the world’s oceans. They are starting to crowd out parts of the oceans, making it difficult for other marine life to propagate and provide proper balance. While scientists are skeptical that there is any answer to true immortality from jellyfish, others say we mustn’t dismiss the possibility of learning great things from them. These jellyfish can reactivate earlier programs encoded into their DNA and also switch cells to almost anything they need to be. If we could learn even a few things from how they can accomplish this, we could potentially use it to fight the spread of cancer. Unfortunately, it may be a long time before we find out if these jellyfish can provide us with that stronger anti-cancer weapon, as there is little if any research currently involved in the study of these amazing creatures. 7Was Atlantis Real Or Was It All A Fictional Allegory? Many theories about the lost city of Atlantis are completely wild and beyond belief. Some say that Atlantis is located in the Bermuda Triangle even though the legends never put it anywhere near there. Some believe it somehow survived as a domed city deep underwater. More reasonable theories—although still somewhat wild—at least look for actual ruins in a part of the world that would make sense. 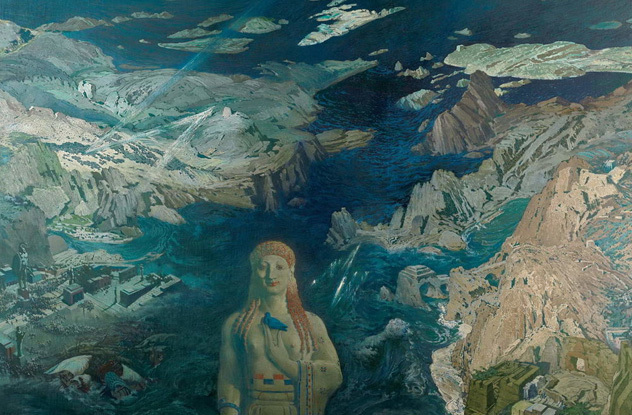 However (as you may have heard), Atlantis was an allegory by Plato—he made the whole thing up. This has caused many people in recent days to feel rather bummed out that there was never anything to the Atlantis story at all. Or was there? A historian named Bettany Hughes has been exploring the ancient myth of Atlantis and realized that Plato likely got the idea from somewhere. An island near ancient Greece known as Santorini was once known as the Island of Thera. The people who lived there were very skilled merchants and traders, taking advantage of a strategic position near three continents. This allowed them to become extremely wealthy and prosperous. Unfortunately, the Therans had no idea they were actually living right on top of a volcano. It erupted in 1620 BC, a blast huge enough to affect nearly the entire world. Plato would almost certainly have heard of it. The remains of Thera were beautifully preserved, similar to Pompeii, and have been a great source of information to historians over the past few decades. Of course, while this particular city is well preserved and may have been the source of Plato’s tale, it is hard to say how many civilizations or great cities have been swallowed up overnight by cataclysmic events of nature. 6Could There Be Intelligent Life Much Closer To Us Then We Could Ever Imagine? 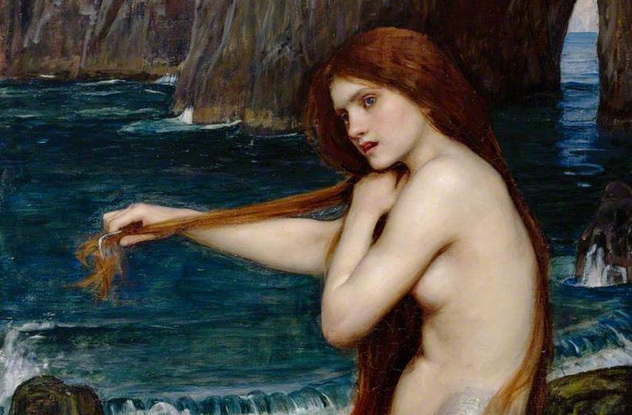 The scientific explanation for the mermaid legend goes something like this: Sailors were at sea for long periods and were often lonely and sometimes drunk. To make matters worse, the conditions at sea are great for visual hallucinations. So sailors saw manatees and viewed them as mermaids. However, the ocean is a very big place and mostly unexplored. 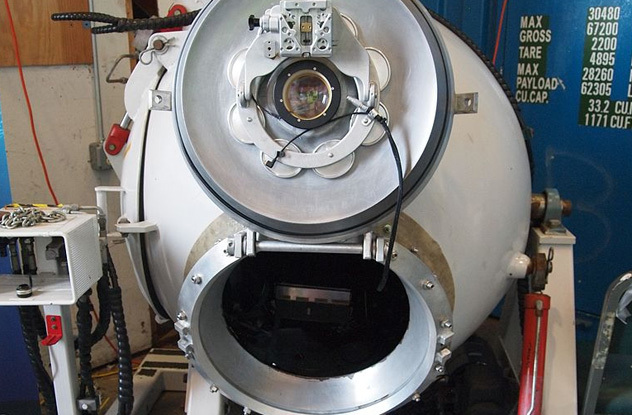 We can imagine intelligent underwater people somewhat similar to us. These species would still not be evolved on our level, because water pressure would make tool use difficult, and we may not have any way of properly understanding a sea creature’s sentience. People are always looking for human like intelligent life, but it could look and behave wholly different if it exists. 5How Do We Withstand The Pressure To Properly Explore The Ocean’s Depths? Many people boggle at the incredible amount of money spent on space exploration when the ocean is right next to us and is still largely unexplored. They bemoan spending sums on space shuttles and space stations, figuring that the cost of studying the ocean couldn’t be nearly as much. However, while it doesn’t present the same hurdles, in many ways, the challenge of exploring the ocean is bigger. The pressure underneath the ocean depths becomes absolutely ridiculous a couple miles or so down, and it is a huge production just to explore a small amount of a deep part of the ocean for a very brief time. James Cameron, known mostly for movies like Terminator and Avatar, is also an avid ocean explorer and one of the handful in the world to explore the reaches of Challenger Deep, a part of the Marianas Trench more than 10 kilometers (6 mi) down. He was able to collect many new samples and great video footage, but just that small expedition was extremely risky and expensive even for an expert such as himself with all the proper official backing. And one such trip to the depths is just a very tiny bit of the ocean we still have left to explore. Unless we come up with much different technology, it will be a very long time before we can fully grasp what is in our oceans. 4What Is Truly The Biggest Creature Lurking In The Depths Of The Ocean? Many people have speculated about what kind of sea monsters could possibly be lurking below. Once thought a myth, giant squids are a real thing, and they can indeed reach incredible sizes. In fact, even many normal fish can flourish to nightmarishly huge sizes given the right conditions in certain deeper parts of the ocean. It is no wonder then that people have long pondered what might be the biggest and scariest thing around. Even if we go back to the days of the dinosaurs, the largest speculated creatures do not exceed the size of any of today’s known blue whales. 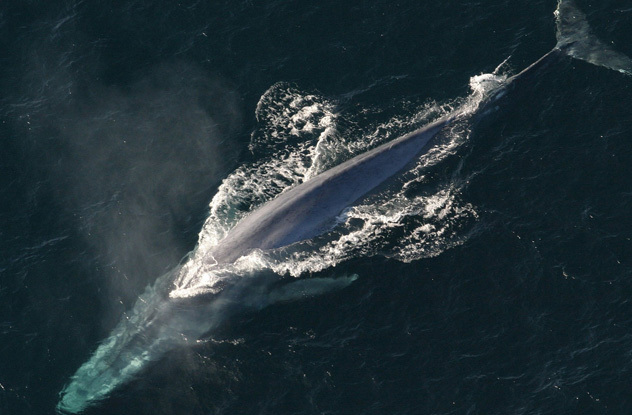 However, with most of the ocean unexplored, especially the deeper parts where something larger may flourish in the dense environment, perhaps there are other creatures near the size of the blue whale that we have not yet discovered. 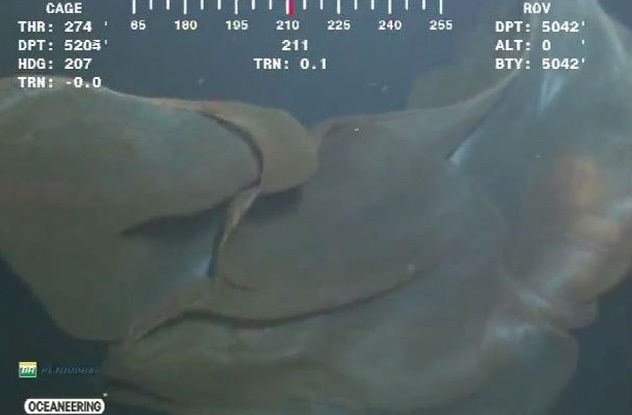 It may currently be the biggest known, but it is quite possible that other monstrously huge creatures hide out in the depths of our world’s waters. You may have heard the saying that the ocean is “95 percent” unexplored. Marine biologists feel that it is a gross oversimplification. Scientists today, using tricks involving satellites, radar, and a lot of math, have managed to map ocean terrain to a maximum resolution of 5 kilometers (3 mi). While this is still only accurate up to a point, it is a lot more detailed knowledge than some people realize. Marine biologists have a pretty good idea what trenches, dips, and ridges exist in the ocean and are regularly updating their technology and improving their mapping. However, marine biologist John Copley, even while pointing out the fallacy of the meme, also admits in Scientific American than in practicality, we probably have much less than 5 percent of the ocean actually explored. True full sonar coverage of an area—which would allow us to find wrecks as small as flights like MH370—is something we have only achieved for less than 1 percent of the ocean. In terms of actually knowing what is physically happening in most of the ocean, how the ecosystem is, and what all the various creatures are in it, our knowledge is probably even less. As far as marine biologists are concerned, the ocean is an almost limitless place for exploration. We could spend thousands of years and trillions of dollarsm and there would still be the vast majority yet to discover and understand. 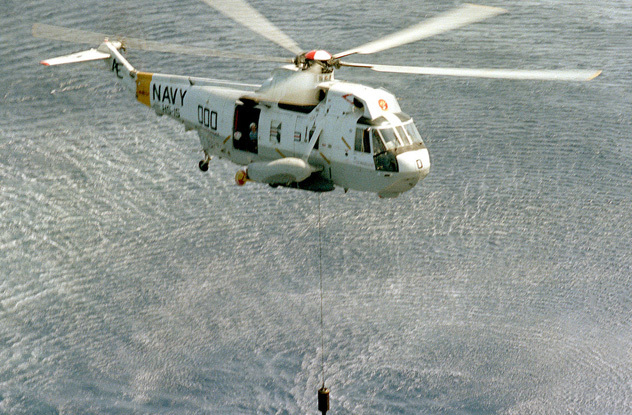 Back in 1997, a sound underwater off South America had people baffled. It was loud enough to be picked up from two different stations several kilometers apart, and many people thought it sounded like some deep sea creature. Some people have even speculated that it has something to do with Cthulhu due to the sound being only a couple thousand kilometers from the (fictional) underwater city where the (fictional) monster is imprisoned. Eventually, scientists came along to ruin people’s fun, and the NOAA claimed that the sounds were just ice shelfs breaking off many miles away and creating a sound known as an icequake. Though this sounds like an animal cry when slowed down, at normal speed, it sounds closer to a thundering or quaking noise. The bloop was first featured here in 2009 on our list of 10 More Mysteries That Remain Unsolved, which also has a nice line up other unsolved mysteries lists on it. Conspiracy theorists choose to remain unconvinced. 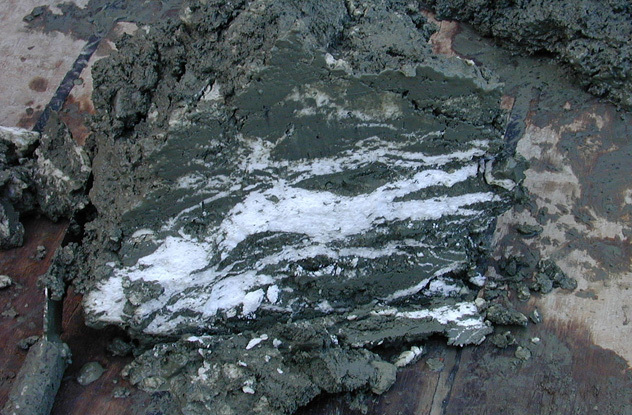 1Could Methane Hydrates Be A Realistic Long-Term Energy Source? Methane hydrates are strange crystalline structures of water and methane frozen together. Since their discovery a few decades ago, governments have been toying with the idea of more seriously exploring hydrates as a form of alternative energy. The hydrates themselves would definitely be viable if there were shortages of other natural gases for fuel, but there are unique challenges. As with much of oceanic exploration, it would be extremely expensive to mine on a large scale. Environmentalists are also concerned about methane hydrates, worrying that more underwater drilling could lead to disasters. Right now, there are too many other ways to get natural gas that aren’t nearly as expensive. However, when the day comes that fracking and other sources are no longer as viable, many scientists believe the oil companies and governments will quickly head to methane hydrates in the hopes it will be enough to save them.